I spent only one night in this apartment "unfortunatley", I will definitley come back in the future to spend more time in this lovely place and city. 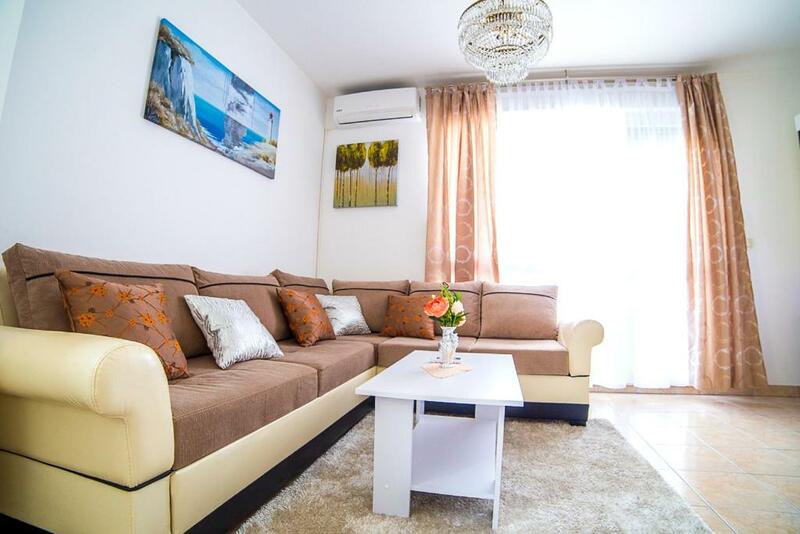 I had no issues with the apartment while staying, I found it very comfartable and convenient as it was close to the city, transport, bars and restaurants. Also, the owner of this apartment was very helpful as he gave a very big welcome and great tips on the whole city that definitley persuaded me to return to the city. Odličan i susretljiv domaćin, dočekao nas je ispred ulaza u zgradu točno na vrijeme. 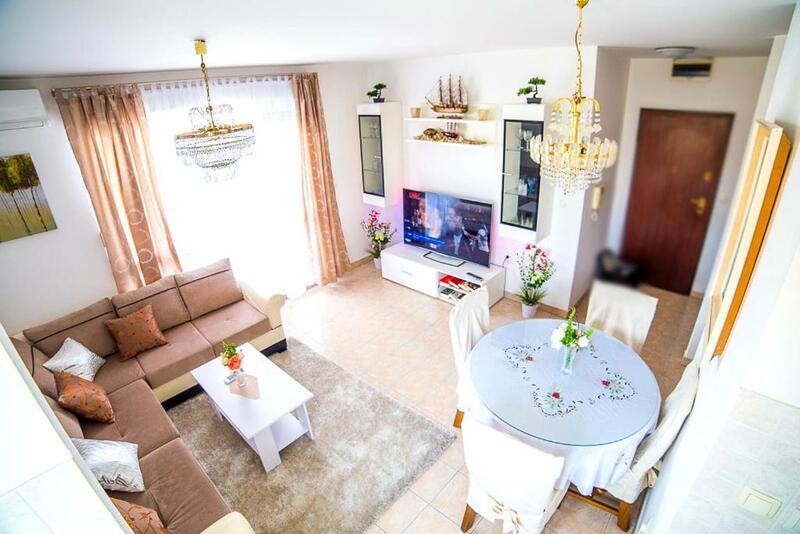 Velik i prostran apartman s velikim i udobnim krevetima. 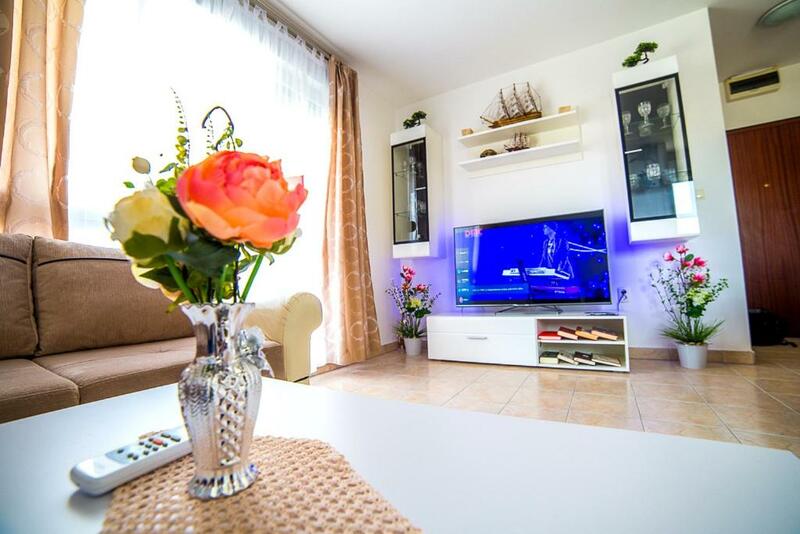 Posebno su me se dojmila dva ogromna LCD TV-a, jedan u dnevnom boravku, a drugi u jednoj od spavaćih soba. 타올이 많음. 베란다가 있음. 안방에서 보는 일몰이 이쁨. 에어컨 빵빵. they have so many towels. and existing the balcony. beautiful sunset in on the room. good air-condition. Bell'appartamento in edificio nuovissimo e dotato di tutti i comfort. Proprietario molto disponibile e sempre pronto ad aiutarci e consigliarci. Värden mötte upp och visade oss lägenheten och berättade det vi behövde och hjälpte oss på ett utmärkt sätt när vi glömt våra pass på förra boendet!!!! Lock in a great price for Split Apartments Shell – rated 9.4 by recent guests! 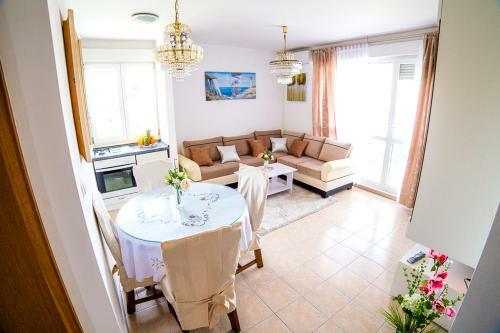 Providing free WiFi, Split Apartments Shell is located on the beachfront in Split. The apartment is 1.2 miles from Znjan Beach. 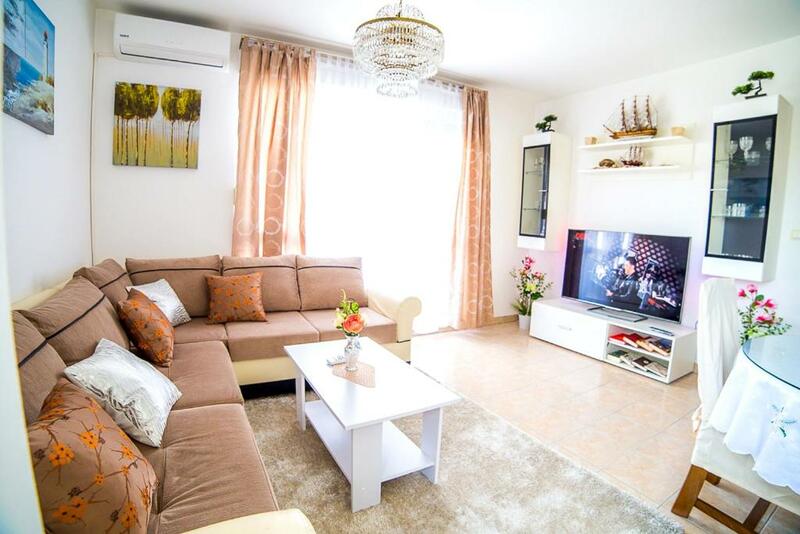 The apartment comes with a satellite flat-screen TV, 2 bedrooms and a living room. 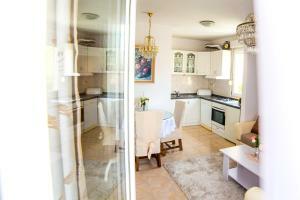 The property is equipped with a kitchen with a dishwasher and an oven. Split Apartments Shell has a terrace. Guests can also relax in the shared lounge area. 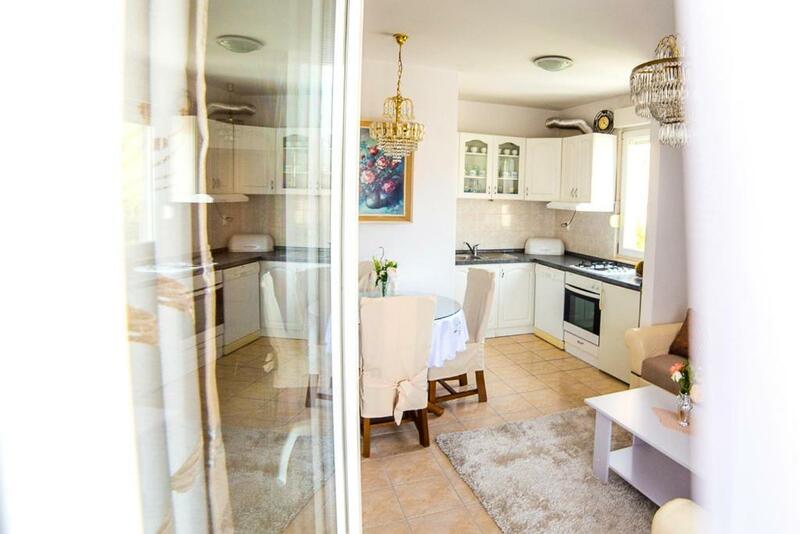 Diocletian's Palace is 1.9 miles from the accommodation, while Mall of Split is 1.4 miles away. The nearest airport is Split Airport, 14 miles from Split Apartments Shell. When would you like to stay at Split Apartments Shell? This apartment features a kitchenette, microwave and hot tub. Cetvrt je jedan od najboljih u gradu,mirna lokacija 500m od mora 2000m od dioklecijanove palace i ostalih znamenitosti u gradu.Restoran,caffe bar,market,ambulanta je u neposrednoj blizini smjestaja..
House Rules Split Apartments Shell takes special requests – add in the next step! Please inform Split Apartments Shell of your expected arrival time in advance. You can use the Special Requests box when booking, or contact the property directly using the contact details in your confirmation. The apartment was not in a official tourist apartments / hotel. We where in someone's home in an area of tower blocks run down full of graffiti and the taxi driver did not help us locate the property before leaving, we did not meet many other tourists, which can often be a good thing but not in this case. We struggled to order food and drink in that area over the 4 day stay, we barely ate due to this issue. In this area when our english accents where heard the price of anything doubled and we where told they had a new menu etc. Being 3 women on our own in this area was uncomfortable and we would not return. To get from the airport to the apartment we where ripped off by the taxi driver, which we thought was of a language barrier but became a trend for the holiday. The landlord warned us about being ripped off but then charged us more money claiming we had booked for 5 people, when in fact the paperwork shows I booked for 3 and only enquired about 5 and then emailed him again to confirm only 3 people and I was told in the same email that it doesn't matter how many people it's still the same price. Then I was under the impression that we'd paid a deposit and when working out the cost of the apartment changing from the booking price, it didn't add up further. We contacted the owner stated when we could meet him on our departure day to return his keys and collect our deposit back. We were instructed to leave the keys on the table and leave and text him when we'd left. Unfortunately we couldn't hang around and we had to get to the airport so we left. 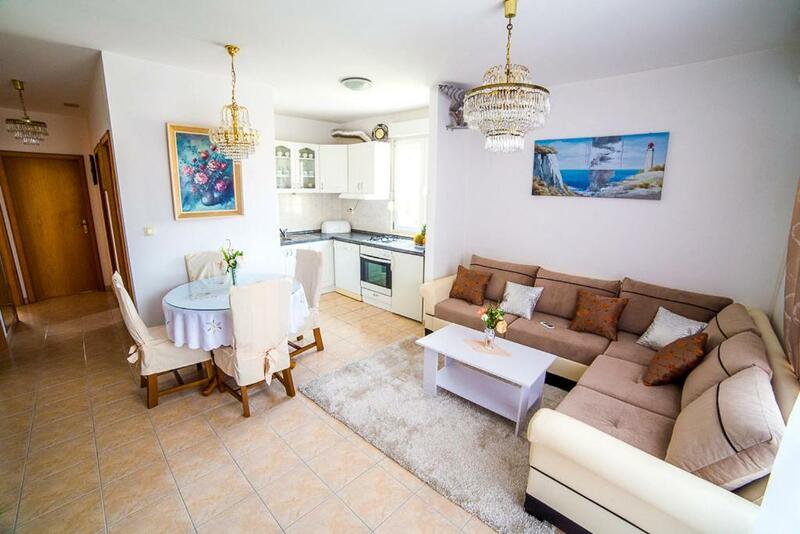 I would not return to Split in a hurry however if you want a more scenic place that is catered more towards tourists stick to the Old Town but this can be pricey but it is more polite, you pay what's stated on the menu and it is more suitable for a holiday. Very nice place! Hospitable host! It's very nice place! Hospitable host! Very recommend!